As you all know by now, my dear friend Cassandra visited me to spend a week of travelling and shopping in Edinburgh and all around Scotland, hence the absence of blogging for so many days. I tried to give you as many life updates as possible on facebook and instagram, but now that I am writing these lines I realised how much I have missed you! 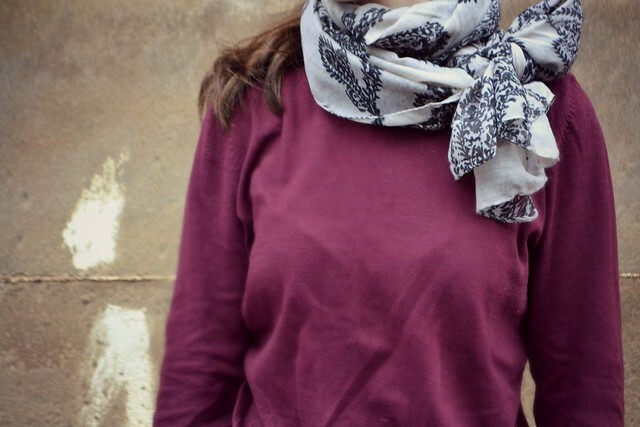 I am going to post all about our travelling adventure tomorrow but for now let me show you how I styled this lovely paisley scarf. A statement necklace is good for styling but will not keep your neck warm, especially these days that the temperatures are falling sharply! Thinking of something else to sparkle your outfit? Scarf is the answer! 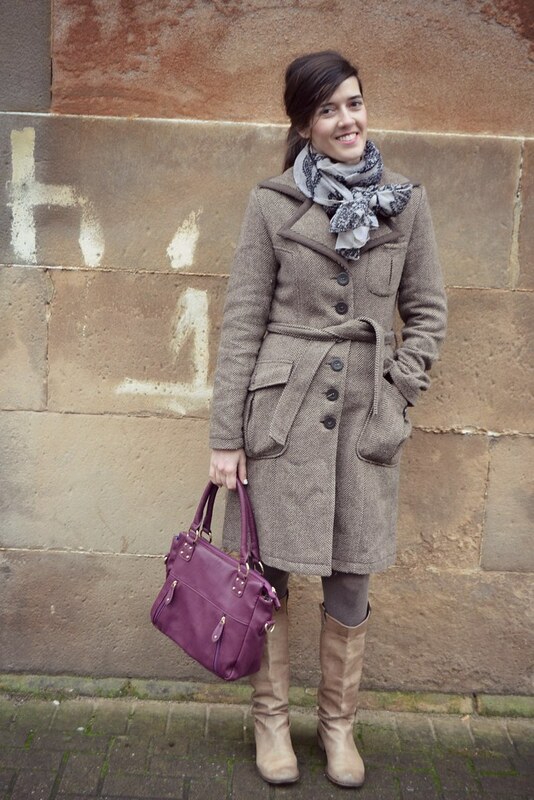 Wearing a scarf is not only a great way to style any outfit, but will also keep you warm, so it’s a win-win. 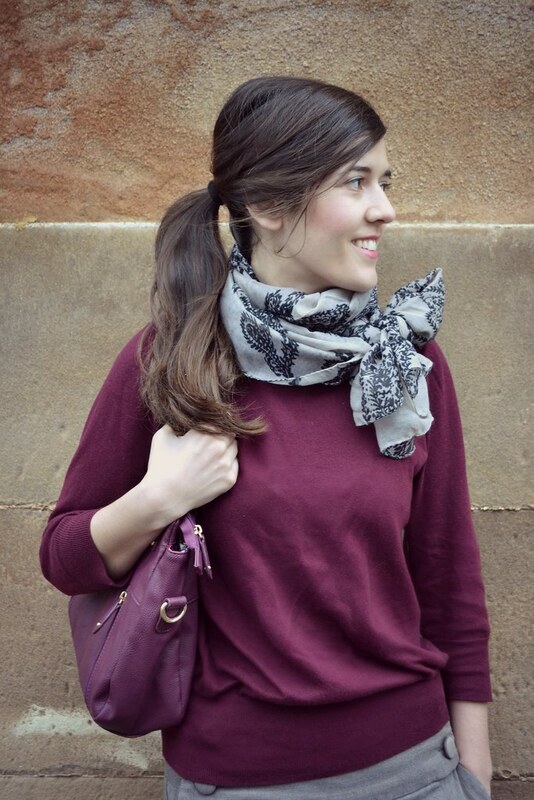 I am taking part in a bloggers competition on the Daniel facebook page on how to style a scarf and I tied mine as a bow. 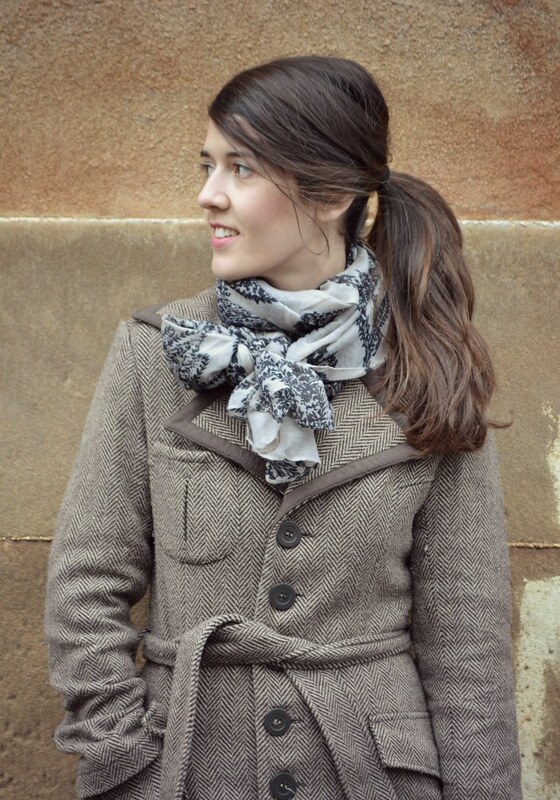 The way to do it is really easy, just wrap the scarf twice around your neck and make a loose bow with the endings. Isn’t it pretty darn cute? How would you tie your scarf? P.S: Excuse my weird face, pictures were taken the morning after a indescribable hangover. Previous Post Personal style // It’s over!